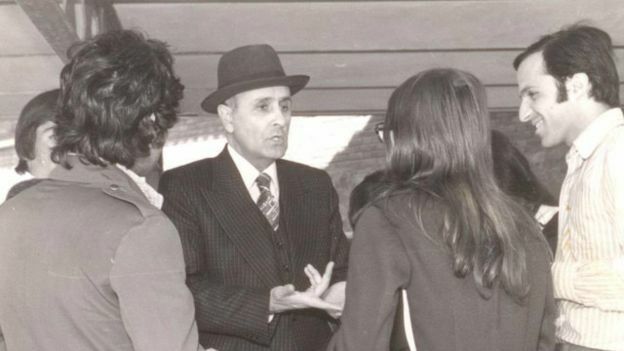 On 11 November 1979, Dr. Alimorad Davoodi, secretary of the National Spiritual Assembly (NSA) of the Baha’is of Iran, and professor of philosophy at Tehran University, went for his customary afternoon walk in Tehran’s Laleh Park, and never returned. Numerous threatening phone calls in the preceding days, and his friends’ investigations on the day itself, clearly suggest abduction. Alimorad Davoodi was not the first Baha’i to be abducted. The abductions had begun several months earlier, with the kidnapping of Mohammad Movahed. He was born into a clerical family in Shiraz, and had undergone years of Islamic studies, during which he learned about and accepted the Baha’i Faith. His becoming a Baha’i was so unbelievable to his family and friends that they sent him to a mental institution, and later transferred him to Tehran. In spite of numerous meetings, lengthy discussions and even threats, he never renounced or concealed his beliefs. Years later, after the Revolution, the pressure increased. Finally, after several interrogation sessions and a summons to the Revolutionary Committee, he was abducted in the street, on May 1979. The next abduction that created great anxiety in the Baha’i community took place in December of the same year. Ruhi Roshani, secretary of the Local Spiritual Assembly (LSA) of Tehran, who had been the target of threats from religious fanatics after the publication of his book, “Khatamiyyat” (the belief that the Prophet Mohammad was the last messenger of God) also disappeared. His fate, like that of Davoodi and Movahed, remains unknown. 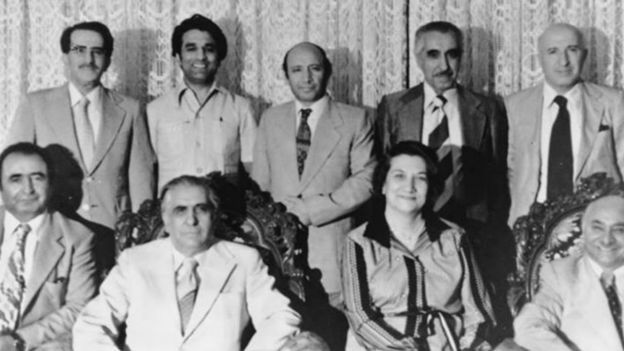 With increasing pressure on Baha’i institutions, two Baha’is in Tabriz were accused of “spying for Israel” and executed in April 1980. Baha’i institutions, or “assemblies”, tend to the administrative affairs of the Baha’i community, and are comprised of nine members elected by the Baha’i community in each city or village. On 21 August 1980, armed men arrested all the members of the NSA, as well as two of their colleagues, during a regular NSA meeting. The 11 persons abducted during the raid were never seen again by friends or family. 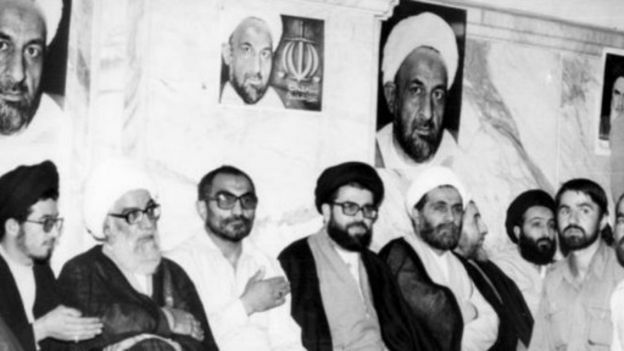 Hossein Naji wrote to Ayatollah Khomeini, President Abul-Hassan Bani-Sadr, Minister of Health Hadi Manafi, and Attorney General of the Revolutionary Court Ayatollah Ali Qodusi, describing the raids of his home by armed men and the arrest of his wife, and he requested an investigation, but his pleas met with a complete lack of response by the authorities, and no agency accepted responsibility for the arrest of his wife. Finally, on 21 August 1980, armed men arrested all the members of the NSA, as well as two of their colleagues, during a regular NSA meeting. The 11 persons abducted during the raid were never seen again by friends or family. Investigation into the disappearances began immediately. The families met with the Attorney General of the Revolutionary Court, the Head of the Iranian Judiciary, and the Speaker of Parliament. In a meeting with the Speaker of Parliament, Akbar Hashemi Rafsanjani, he promised to investigate the disappearances. A few days later he confirmed that an order had been issued for the arrest of the eleven Baha’is, but that they must remain incommunicado until the interrogations were completed. Less than a month later, Rafsanjani denied his previous statement and blamed the disappearances on an independent group. The members of the Baha’i community of Iran also suspected other groups – including the Hojjatieh Society* – of involvement in the disappearances. Following the abduction of the first NSA formed after the Revolution, a second NSA was convened. This NSA attended to the affairs of the Baha’i community for a year under the most difficult circumstances. The arrest and execution of the membership of the LSAs of Yazd, Hamadan, Tehran and Tabriz, and the execution by firing squad of two Baha’is in Mashad, were some of the ordeals the Baha’i community experienced during 1980 and 81. Eventually, on 27 December 1981, the eight members of the NSA were put to death by firing squad. Their execution was initially denied, but it was later confirmed by then Head of the Judiciary Ayatollah Ardebili, who announced that they had been put to death on the grounds of “espionage for foreign powers.” Thus, the arrest and execution of Baha’is became official. Nonetheless, the persecution of Baha’is and harassment of Local and National Spiritual Assemblies did not stop; in the following months seven members of the third NSA formed after the Revolution – Jahangir Hedayati, Shapour Markazi, Farhad Asdaqi, Farid Behmardi, Ardeshir Akhtari, and Amir Hossein Naderi – were arrested and executed. Thus, it was not surprising that from the early years of the Revolution Baha’is were persecuted by their past enemies as well as the ruling powers. Confiscation of their property, expulsion from schools and universities, ejection from their jobs, prohibition from legal transactions, etc. – these were some of the outcomes of the Revolution for Baha’is. Three decades after the Revolution, the human rights of Baha’is have not improved. For instance, seven members of the Baha’i community who administered the affairs of the community in the absence of elected institutions are currently serving 20 years each in prison. On 14 May 2008, Jamaloddin Khanjani, Fariba Kamalabadi, Afif Naeimi, Saeid Rezaie, Behrouz Tavakkoli, and Vahid Tizfahm were arrested in their homes in a coordinated plan by Revolutionary guards, and were taken to Evin prison. Mahvash Sabet has been in custody in Mashhad since 5 March 2008. The Baha’i Faith was founded in Iran in 1844. Baha’is represent the largest non-Muslim religious minority in Iran. At the beginning of the 1979 Revolution, their numbers reached 300,000. The affairs of the Baha’i community are administered by an elected body called the Spiritual Assembly. The Islamic revolution of Iran and the Islamic Government that followed is a dark blot on the long history of Iran. A disgrace to the Muslim clerical rulers that will never be erased from the dump heap of history. What amazed me was the comment from the wife of one of the executed leaders. She said that when the eight Baha’is were led to the place of their execution, they began embracing each other to farewell. But the executioners suspected something when they saw this expression of affection and shot them even before they reached the place where they were to be executed. Pity for their blindness.